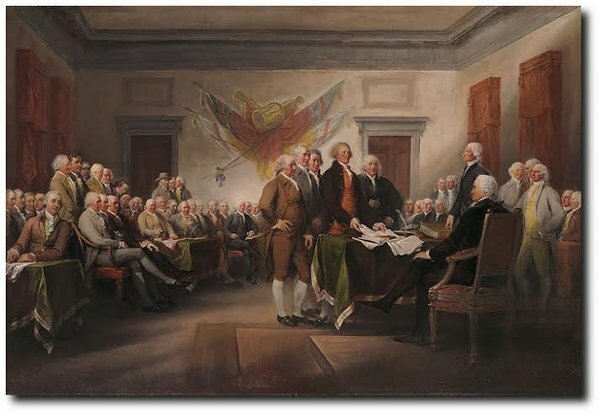 Recognized as one of Trumbull's best works, The Declaration of Independence July 4th, 1776 is an artistic and historical masterpiece, depicting a seminal moment in US History. The painting includes portraits of 48 of the 56 signers and five other patriots. Trumbull painted at least 36 members and the room from life.